Creating opportunities for underserved youth to study abroad has always been a core component of our approach to international education. Over the last year, we made a tough choice to scale back our custom programs this summer, so we could focus our resources on becoming an accredited school, launching new programs and enhancing organizational sustainability. 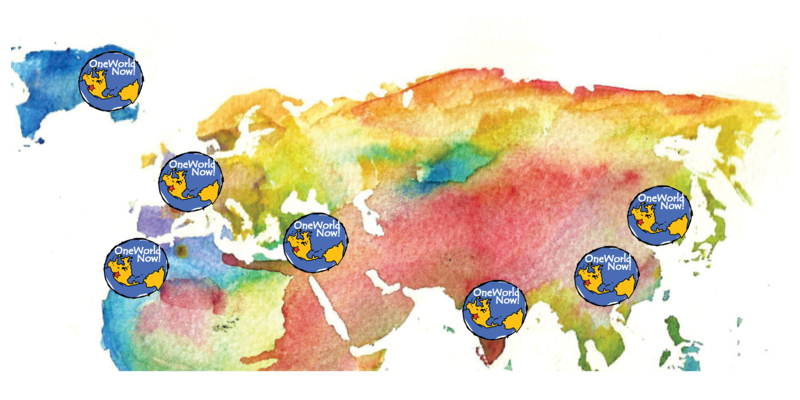 As a result, we’ve stepped up efforts to work with other study abroad partners across the nation to create scholarship opportunities for OneWorld Now! students. At OneWorld Now! we’ve experienced and witnessed, time and time again, the transformative nature of study abroad. Whether from students, alumni, donors or staff, there are many stories of how the first trip abroad was eye-opening, life-changing and influential on future life decisions. International education is too often overlooked as a powerful model for delivering skills that students need to overcome social, emotional and academic hurdles. We’re thrilled to share some of our scholarship recipients this summer and hope you’ll join us in wishing them all bon voyage. 13 of these students are benefiting from a grant from the Korean Consulate to travel to South Korea this summer. Six students received scholarships to study abroad with CIEE, National Geographic, Rustic Pathways and Student Diplomacy Corps this summer. One student received a $32,000 scholarship to take a gap year in India from Global Citizen Year. Where in the world are OWN students going? From east to west, be on the look-out for our student diplomats in South Korea, China, India, Jordan, Germany, Morocco and Iceland. A big thank you to OneWorld Now! team member Caitlyn Lamdin. As our Study Abroad Program Manager Caitlyn worked hard to identify affordable programs, forge new partnerships and secure additional scholarship funds for our students. 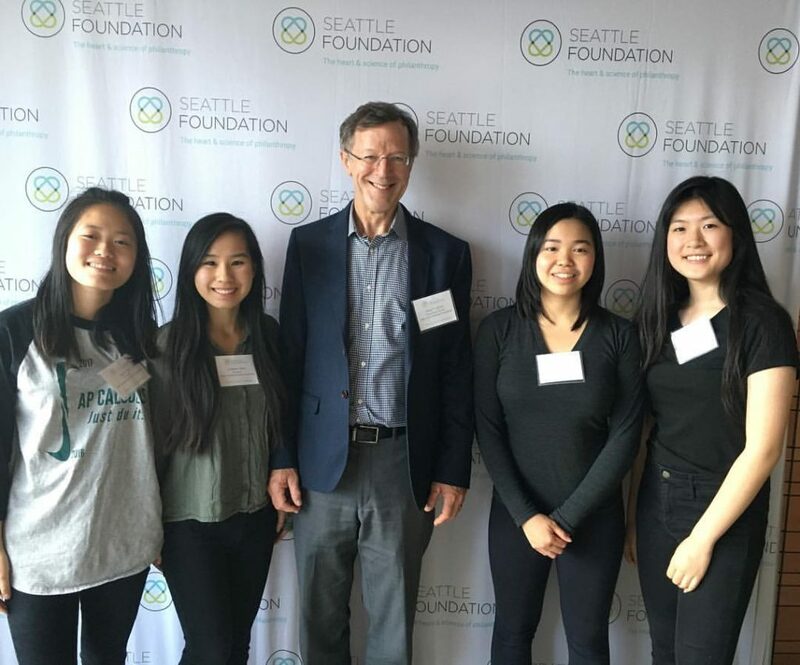 On June 1st, the Seattle Foundation hosted a celebration to recognize their 2017 scholarship recipients. OneWorld Now! students were among the 280 recipients, selected from a record number of 1,500 applicants, who received support from Seattle Foundation scholarship funds this year. Students Mohamed Dire, Leyi Lei, and Dureti Hajikedir received The Nora Stone Smith Scholarship, which honors and gives financial support to deserving immigrant high school seniors and recent graduates that have participated in an ESL/ELL program at some point in their lives. Student Madeline Dirar received the Seattle Foundation’s Discretionary Scholarship. OneWorld Now! wants to extend a special thank you to the Landis family. The Alden Landis Memorial Scholarship, managed by the Seattle Foundation, was created to honor the memory of their daughter Alden Landis, who died on December 20, 2011 at the age of 23 while serving in the Peace Corps in Mozambique. The Landis family sees the scholarship as a means to keep Alden’s spirit alive, and allow many others to be inspired and supported by that spirit. This summer, six OneWorld Now! 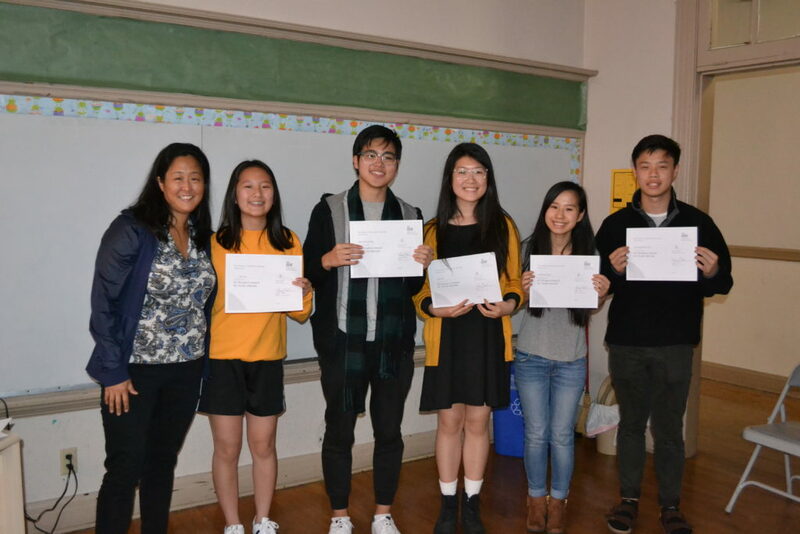 students will be traveling abroad thanks to the Alden Landis Memorial Scholarship: Ying Yi Chen, Leyi Lei, Loleena Tang, Xue Xin Xu, Alex Huynh and Ronya Tan. Congratulations to Jamila, Layla, Leyi, Loleena, Phuong, Warda, Wei Chun, Dureti, Chris, and Lily! For the second year, the Institute of International Education (IIE) asked OneWorld Now! to nominate ten students for the IIE Passport Award. As part of the IIE Generation Study Abroad initiative, the Institute established the IIE Passport Awards of $1,000 toward study abroad in college. The awards create pathways for high school students to acquire global skills and expand personal and professional opportunities as part of their college education. The award benefits include financial support to defray costs of travel related to studying abroad, as well as a study abroad toolkit for the students, their parents, and access to IIE’s Alumni Community and Resources.